Database Systems Corp. (DSC) is a leading provider of CTI (computer telephony integration) technology including interactive voice response (IVR) systems and software. What Is CTI / IVR Technology? CTI (Computer Telephony Integration), is a technology that enables computers to control and manage phone functions. These functions include placing and answering voice, fax, and data calls. The integration of phone systems and computer software is a major development in the evolution of the automated office. IVR (Interactive Voice Response) is a CTI phone application that accepts voice input and/or touch-phone keypad selection. The IVR responds to this input by providing appropriate information in the form of voice answer or provides a connection to a "live" operator. Automated phone systems have used voice recorded prompts and menus to present information to callers. Touch-tone telephone keypad entries are gathered from the caller to collect information and navigational data. Some IVR solutions enable input and responses to be gathered using voice recognition programs. Contact DSC to learn more about our CTI / IVR software and phone systems. DSC offers both an affordable and expandable IVR System. This solution includes a modern Windows PC with Dialogic computer telephony cards. When combined with our extensive IVR software, these phone systems can perform both inbound call distribution as well as outbound IVR call campaigns - concurrently. The WIZARD IVR system is our entry level call center phone system that supports analog phone lines. If your calling center requires more lines, our PACER IVR system can be used in environments where digital phone line support is necessary. DSC provides IVR software that can be used to create virtually any phone application. Several of the features include our own easy to use interactive voice response software that leads you step by step through the operation of your custom phone applications. You can design and develop your own IVR applications using our comprehensive software toolkit. 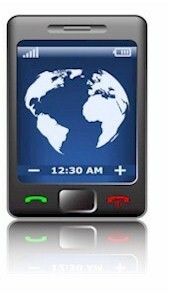 Alternatively, DSC can provide you with a custom phone application. These applications can be easily ported to our digital phone system when your call volume requires a larger system. DSC provides a comprehensive IVR software library for the development of automatic phone answering applications. Contact DSC for a FREE analysis and quote and to learn more about our CTI / IVR products and services.